Still image from video below. In my near-mid-century mind, it doesn’t seem like 1998 was 19 years ago, but I guess I have to get used to that feeling. The older I get, the more time appears to compress. Pontiac, the same division that brought us Wide-Track; the SD-389, SD-421, and SD-455; Ram Air engines; Tri-Power; the Grand Prix, GTO, Firebird, Grand Am and more, was still making an effort to develop class leading and stylish performance cars in 1998. The Fourth-Gen Trans Am and Formula provided tire torturing rear-wheel-drive V-8 power and the supercharged V-6 Grand Prix GTP offered front-wheel-drive fans a quicker way to arrive at any destination. It was a pivotal time for the V-8 Firebirds. During that era, many automakers would either make major styling changes or major drivetrain changes in a particular model year, but not both at the same time. For 1998 however, all the F-bodies received substantial visual enhancements, but the Trans Am and Formula and Chevrolet’s Camaro Z28 and SS were also equipped with the newly-designed all-aluminum LS1 V-8 that had debuted in the 1997 C5 Corvette. Exterior updates for Pontiac’s 1998 F-body included: new fascias with quad headlamps and headlamp doors, hood (twin-nostril scoop with WS6), fenders with air extractors, front parking/turn signal lamps, and a honeycomb taillamp pattern and round backup lamps. The Trans Am again featured its own fascia design with inboard-mounted fog lamps and the Formula (and V-6 Firebird) now had standard outboard-mounted fog lamps among other differences. The 305-hp 346-cu.in. LS1 engine replaced the previous year’s iron-block, aluminum-head 285-hp 350-cu.in. LT1 engine and cut some weight while also ushering in a new era of performance in the process. It was standard in the Trans Am and Formula. With the optional WS6 Ram Air Performance and Handling Package, the LS1’s output increased to 320 hp compared to 1997’s 305 hp LT1. Exhaust systems were upgraded for 1998 to reduce required components and maintenance, and to improve durability and sound quality. New aluminum exhaust tips debuted, but the WS6 received a single, “specific high polished exhaust outlet” for its unique system. A four-speed automatic or six-speed manual transmission were offered, and rear gears were 2.73 or optional 3.23 with the former and 3.42 with the latter. Clutch effort was reduced with manual transmission LS1s and a larger torque converter was employed with the automatic. Traction control was improved with a new solenoid-based system. Larger power-assisted four-wheel disc brakes were standard on all models. Brake rotor size increased to 11.9 inches front and 12-inches rear from 1997’s 10.7/11.4 inches, the front calipers were upgraded to twin-piston aluminum ones from single-piston iron units, and the pad material was revised. A new solenoid-based ABS system was employed, and Electronic Brakeforce distribution replaced the hydraulic proportioning valves for the rear brakes for increased performance and decreased pad wear. Along with more power, a new ram air hood and induction, and revised exhaust, the WS6 Ram Air package also upgraded the underpinnings with a thicker 32mm front sway bar, higher rate front springs and variable rate rear springs, specific shock valving, and stiffer trans mount and panhard bar bushings, as well as 17 x 9-inch “high polished” aluminum five-spoke wheels and 275/40ZR17 tires. Shocks were also revalved for base T/As and Formulas to improve ride characteristics. HVAC system updates and a new alternator were installed, and power-assisted leather seats became standard in the Trans Am and optional on other models. 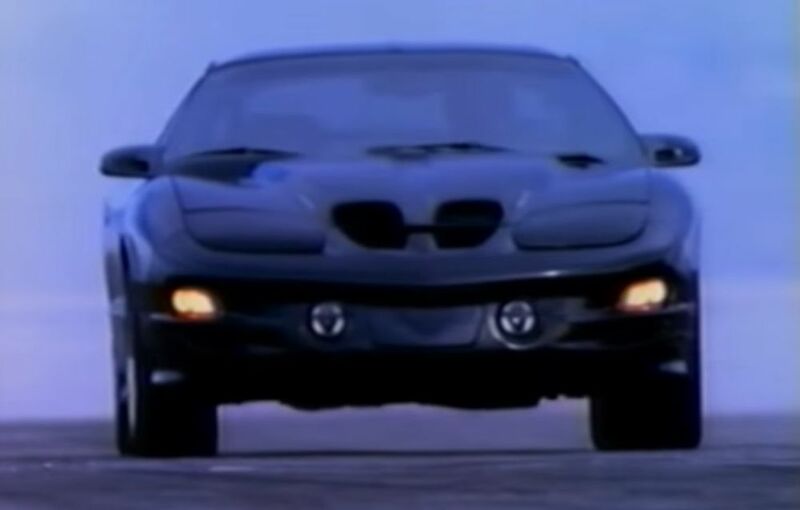 As you can see, the Trans Am and Formula had a lot to offer for 1998 when compared to 1997. They continued to be potent performers through the 2002 model year, after which Pontiac’s and Chevrolet’s F-bodies were cancelled. Though the Camaro has since returned and is still flourishing, the Firebird didn’t, and to make matters worse, the Pontiac division was retired as well. Since many readers of Hemmings publications already enjoy remembering the cars of yesteryear, in this case, we can recall the leap forward that Pontiac’s performance F-bodies took for 1998 by viewing this promotional video (link below)…and also realize that it all happened nearly two decades ago. The promo is four-and-a-half minutes long. It’s presented twice at this link, first with voiceover and then without it.